If I could only give an athlete one structured workout each week, they wouldn’t be running gut-busting track intervals or leg-curdling road tempos. They would be running hill strides. This scenario isn’t hypothetical. Often, when I bring on an athlete, they have been doing the big things. Lots of miles? Check. A mix of workouts? Check. Proper lubrication of sensitive areas? I hope so, but usually wait to ask until we get to know each other. For those athletes, breakthroughs often come through simplicity. Two simple goals structure their training. First, increase total running volume to the maximum amount one can do while keeping injury risk low and happiness high. Second, improve form, speed and strength in a way that limits injury risk. In other words, run lots and run hills. The ideal training plan has a mix of training intensities and some complexity. But if you are injury prone, speed limited or just want to try something new, adding hill strides to your training (either as your only workout or as one component in a more advanced plan) could provide a near-magical boost to your performance. My favorite example is Corrine Malcolm, a graduate student living in Vancouver. I met Corrine after she had been a star biathlete, competing for a spot on the U.S. Olympic Team. So I already knew that she had a massive aerobic engine. We started working together in January 2015. Before that, she had had trouble staying healthy and running fast. Workouts caused her to break down, and without workouts, she wasn’t improving as rapidly as she hoped. After a quick deliberation, we went back to the drawing board. We erased what she knew from reading about running training—no VO2 intervals or lactate-threshold tempos for a bit. Instead, we just ran easy, a lot, and ran short hills, even more. Before we met, she’d had a year of stagnation and injuries. Then, we started working together, she started doing hill strides and she broke through. 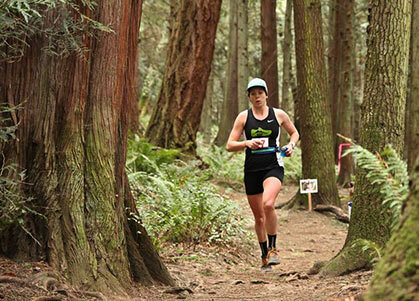 Corrine finished third at the Flagstaff Skyrace, fifth at the Chuckanut 50K and fourth at the Gorge Waterfalls 100K, all major national races. Most importantly, she stayed healthy while living a busy life working in labs and the classroom. Miles gave her running fitness, short hills gave her strength and speed. Corrine’s amazing work ethic and talent did the rest. 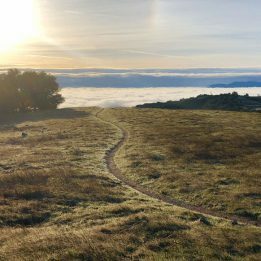 In the last couple weeks, Emily Peterson (fifth at North Face 50; fifth at Lake Sonoma 50), Chris Mocko (second at Gorge Waterfalls 100K), and Daniel Metzger (fifth at Lake Sonoma 50) all had trail breakthroughs using a similar formula. Miles + hills = breakthrough races. There may be better ways, but there are no simpler and safer ways. 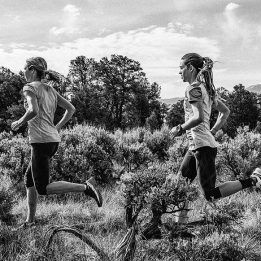 1) Neuromuscular: Hill strides may improve running form by teaching you to generate proper knee lift and run comfortably at a higher cadence. This brain-body adaptation can make you faster at all paces and terrains by improving running economy. 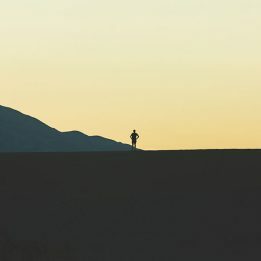 2) Musculoskeletal: Hill strides strengthen nearly every muscle in your legs, since the raw power output is likely significantly higher than during other runs. Improved spring from your lower legs and power from your upper legs can increase your stride length naturally, making you faster. 3) Cardiovascular: Hill strides can improve stroke volume, or the amount of blood your heart pumps with every beat. More blood flowing to working muscles means more speed for working runners. There are a few different strategies for hill strides, but I have found that the following guidelines work best. GRADE: 4 to 10 percent, or anywhere from a moderate grade like a highway overpass to a steeper grade like you’d find on many trails. Steeper hills require you to focus on power generation, shallower hills let you go faster. For most athletes, I’d recommend mixing it up—steeper hills when you are tired, shallower hills when you are fresh and want to go fast. TIME: 20 to 30 seconds. At first, start on the low end, and work your way up over time. Some coaches do these as shorter sprints (and you can try that), but the more sudden movements of short repetitions may introduce more injury risk. After each repetition, jog back to where you started, and don’t begin the next one until you are fully recovered, one to two minutes later. PACE: When you do hill strides, focus on good form, running confidently strong and tall through the hips. It is not a sprint, but a stride. Think about smooth speed, with powerful yet quick steps. If you start flailing about, the strides will be less effective. A good goal is to aim for the pace you would run for a 5K on flat ground, except you’re going up a hill. That said, don’t worry too much about pace. Focus instead on form. REPETITIONS: 4 to 12. You can do four after just about any easy run; do up to 12 for focused workouts. 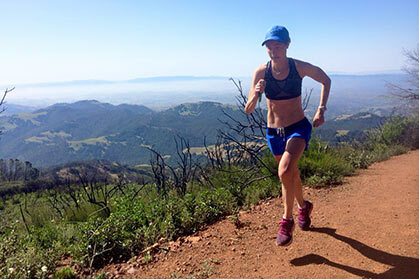 TIMES PER WEEK: Here’s the great thing about hill strides! Since they are short, and since the pounding is low, you can do them a lot. 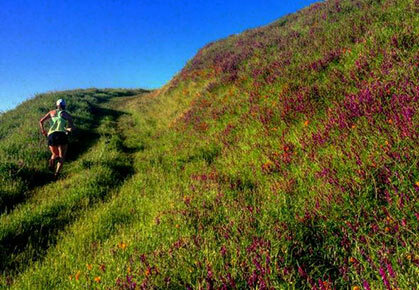 I generally encourage my athletes to do hill strides after easy runs two or three times per week. If you lengthen their duration even more, to a minute or two, only do them once or twice a week at most. In practice, you can improve your strength and speed by doing the following. Every other weekday, run one hour at an easy to moderate effort, plus 6 x 30 second hill strides. 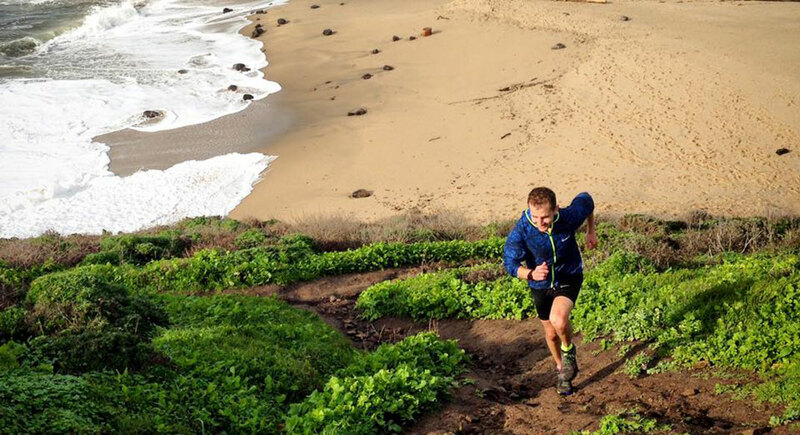 Fill in the other weekdays with easy running, and the weekend with moderate trail adventures. Add some more complex workouts on top of that, and you can reach your trail-running potential.